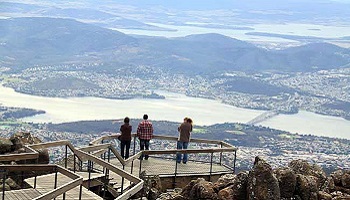 Nestled between a sparkling harbour and rolling green hills, New Zealand's capital city is renowned for its arts, heritage, culture and native beauty. Relax at Oriental Bay, Wellington’s golden-sand inner-city beach and delve into the many museums, art galleries and theatre shows that make up the city’s pulsing cultural scene. 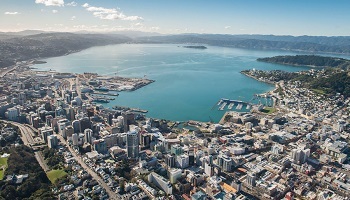 If you’re into the outdoors, Wellington has action-packed adventure activities like mountain biking and sea-water kayaking, as well as beautiful walks around the harbor and surrounding hills. Try the visually stunning Makara Peak track, as well as the City to Sea walk where you can experience the best of Wellington's waterfront. 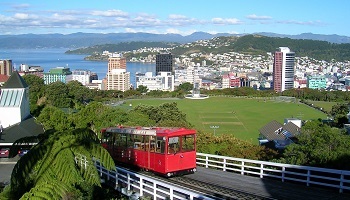 Ride the cable car up the hill to Kelburn for amazing views over the city and enjoy an ice cream at the top. On the waterfront itself you’ll find Te Papa Tongarewa Museum, New Zealand’s national museum. Te Papa, as it’s colloquially known, means ‘our place’ and is one of the best interactive museums in the world.